High-profile smartphone launches have traditionally been the attention-grabbing events at MWC, and this year saw its fair share of such events. The newest devices, however, failed to generate the levels of excitement seen in past years, either in the media or at the event itself. Instead, most of the buzz was focused on the emergence of the next generation of mobile network technology: 5G. Mobile World Congress 2018 marked “the year that 5G got real”. The first standards for 5G were published in December 2017, in 3GPP Release 15, thanks to the agreement reached a year ago to split the 5G New Radio (NR) standard into two phases, and to accelerate the first phase. 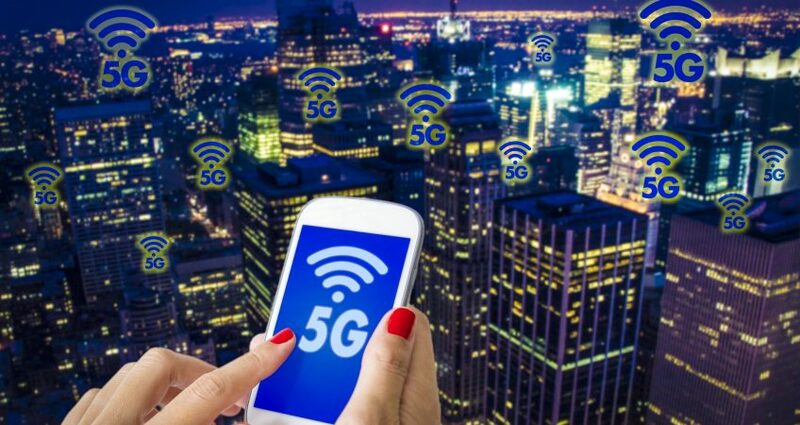 In its fullest implementation, 5G has the potential both to transform the business of being a telco, and to transform the way we live and work. At Mobile World Congress, however, it was clear that 5G’s fullest implementation is a long way off; that it will require a lot of investment; and that many important questions about how we get from here to there have still to be worked out. All the major mobile network vendors led their presence at Mobile World Congress by launching “end-to-end solutions” for 5G network deployment. They are understandably keen to get operators deploying their newly available equipment, Ericsson’s CEO Börje Ekholm declaring that “There is a clear value in being early… frontrunners grow faster”. How much of a performance improvement will its first 5G customers notice? Although highly suitable for wide coverage, lower frequency bands like 600MHz band do not provide the very large data capacity that higher frequency bands support. When will customers be able to subscribe to 5G mobile services? Although T-Mobile intends to deploy 5G networks in 2018, it acknowledged that it does not expect 5G smartphones to become available this year. So how much longer will it be before people can buy 5G smartphones? According to smartphone silicon vendor Qualcomm, the answer is: “not very much longer”. In early February 2018 Qualcomm announced agreements with several smartphone makers to use its Snapdragon X50 5G chipset in products for launch in 2019, including Fujitsu, HMD Global, HTC, LG, Sony, Xiaomi and ZTE. At Mobile World Congress, Qualcomm further reinforced its “smartphones in 2019” message at Mobile World Congress, with announcements including the availability of its Snapdragon 5G Module Solutions. Will the early NSA installations be permanent, or at least long-term? Or will they exist only for a period of transition until SA installations can begin? If NSA will be around for the long term, how will interoperability and roaming between NSA and SA networks be handled? If NSA networks will be transitory, how will the transition to SA be handled, and how long will it take? Will the standards require the 5G core to be implemented at the same time as 5G SA in the RAN? Given that the first 5G devices will use the NSA standard, will they also be compatible with SA 5G networks when operators start to deploy those? It is important that device and network vendors develop clear and consistent messaging around these issues soon. Otherwise, spending on NSA network equipment will be impacted by concern about the length of its useful lifetime and the cost of migrating to SA; and spending on the first 5G devices will be impacted by concerns that before long, the earliest adopters of 5G will have ended up with what are, in effect, 4G devices.